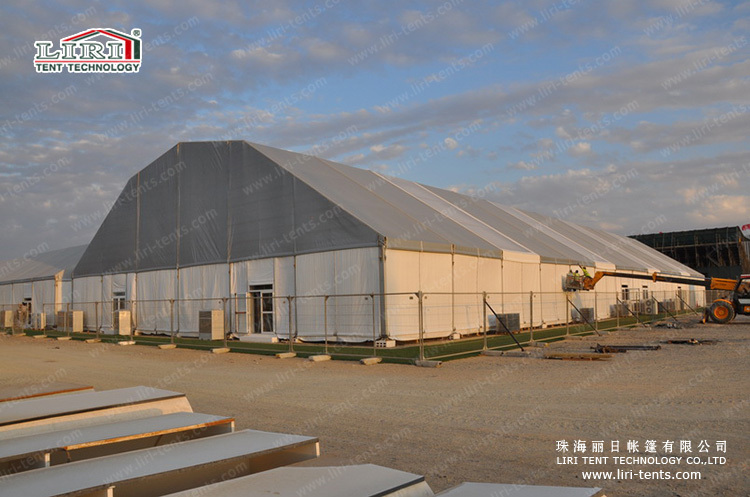 The clear-span width of our tents are from 3M-80M with unlimited length, made by hard pressed extruded anodized aluminium alloy frame and fire retardant and water proof PVC from ZHUHAI LIRI TENT TECHNOLOGY CO., LTD. Widely used for Weddings, Events, Parties, Celebrations,Sports,Tradeshow, Warehouse,etc. 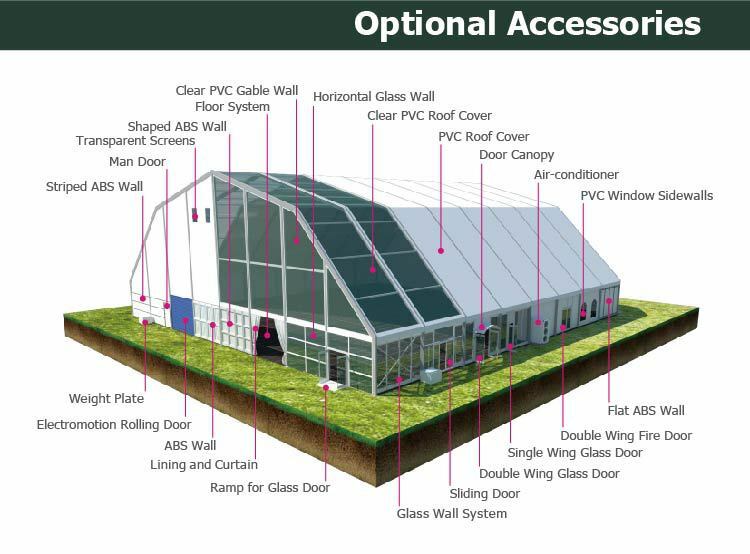 What’s more, aluminium polygon event tent with white PVC roof cover can be changed .You can choose other accessories, such as glass wall system, Abs wall system and etc.